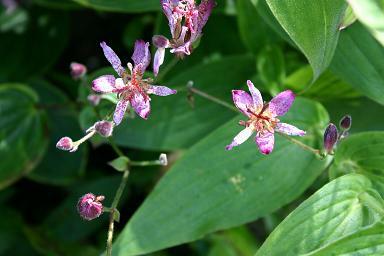 There are a number of forms of Tricyrtis formosana with creamy white edges to the leaves, and they are all very similar. 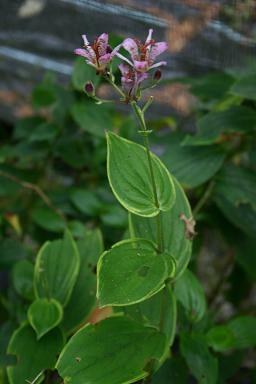 This one was introduced by Terra Nova Nurseries in the USA. The flowers are finely speckled rather than distinctly spotted, and the pigment in the broad inner tepals is concentrated towards the tips.